Meeting new people in a new city at times can be a daunting experience. A chance to settle in a new city due to a new job or just to experience a new way of life from the usual can be a turning point in your life. Well, you get a chance to start anew but it can be lonesome especially if you don’t know anyone there. 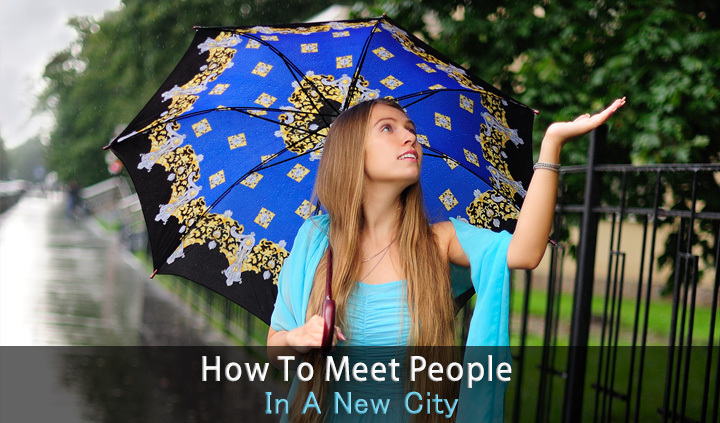 If you are looking for tips on how to meet people in a new city, read on. The first place you get a chance to interact and create your new image is at work. The first step is not to be quick to judge new people and keep an open mind with everyone you interact with. As you are the new person around, meet everyone politely and try to initiate casual conversation with everyone. It is obvious that you’ll get extra attention initially, so use it to your advantage. Even if you don’t find people who are at the same wavelength, you’ll get to meet their friends you’d like to hang around with on weekends. You’ll need to be proactive to be seen around events at your office. You can try online dating and matchmaking services of shadi.com. It can help you find a larger pool of singles or divorced people in your new city. The next place that you are most likely to meet people is at home. Whether you stay at a condo, apartment or even at a townhouse, you’ll have neighbors and this is the best way if you are looking for ways on how to meet people in a new city. Find a chance to meet the neighbors. If you find the neighbors taking a walk, getting the mail or washing cars, walk over and start the conversation. It can help break the ice and you can always ask about the local library, pub or clubs are. If you are looking to find someone to be friends with or even date, church events, library and clubs are the best places to find new friends.